The Goldegg Dialogues forum was founded in 1982 with the motto “Health can be learned”. These annual ‘encounters’ provide inspiration for the heart and mind throughout the year. Singing and dance classes, writing workshops, Eastern meditation techniques and various personal development courses. And Hotel zur Post – Goldegg’s cosy four-star hotel – is just across the way. 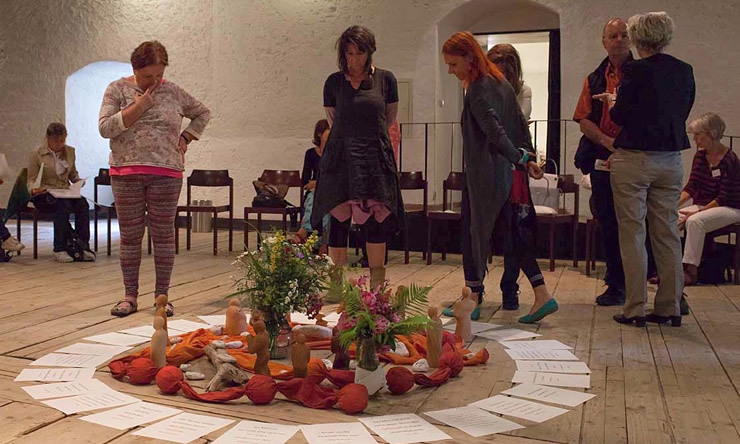 Family constellations, dream-work, writing workshops. Dance, singing and yodel workshops. Yoga, qigong, tai chi and more. Have stimulating conversations in the boudoir, where once the lady of the castle would have once sat and pondered by the fire. Take your inspiration directly from above – from the beautiful frescoes in the Great Hall of Goldegg Castle. Find more than just a grain of truth in the granary under the roof. And return to Hotel zur Post to store up new energy for the next day with delicacies from the kitchen and cellar. The Boudoir: The lady of the castle’s private sitting room from the 14th century, containing wooden elements fixed without a single nail – seats up to 150 people. 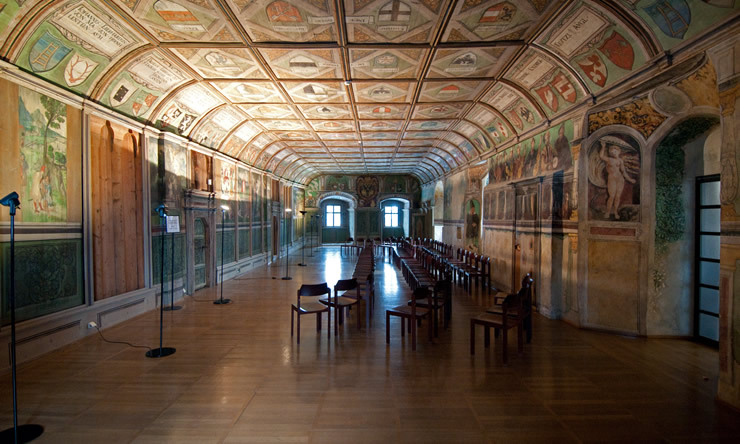 The Great Hall: a magnificent conference room with frescoes and ornate timber ceiling with over 130 painted coats of arms from the 16th century – seats up to 150 people. Granary: the largest room in the castle, formerly for grain storage – seats up to 280 people. email address to our list. Zum Newsletter anmelden. Ja, bitte senden Sie mir Informationen über Neuigkeiten, neue Angebote, Pauschalen und Veranstaltungen in Form von E-Mail. Nach Absenden des Formulars erfolgt eine Verarbeitung der oben angeführten Daten. Nähere Informationen entnehmen Sie unserer Datenschutzerklärung.